We have a few books still! Send us your order by email. We have several workshops available for church groups, lay leaders, and ministers as well as corporations and other organizations that want to improve their environmental stewardship. 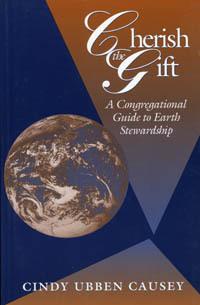 In the pages of Cherish the Gift, pastors and lay leaders will find practical ideas and timely information in this hands-on guide to environmental stewardship for the church. A sound Biblical argument calls congregations to action, followed by facts and figures that spell out the current environmental woes plaguing the earth. Subsequent chapters, organized by typical congregational departments, offer a world of ideas from fellowship dinners, worship services, and youth groups, to the church office, educational programs and property maintenance. Cherish the Gift is designed to open the door to churches wishing to begin a deliberate program of environmental stewardship, and to serve as a basis for dialogue within congregations and denominations regarding the role of the church as true keepers of creation. 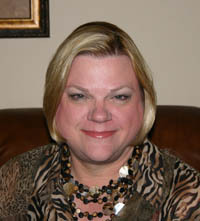 Read an excerpt from Cherish the Gift.